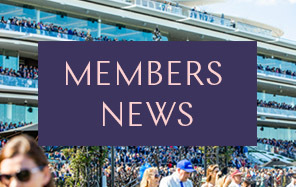 The Victoria Racing Club (VRC) is pleased to announce an extension to the famous Flemington Mounting Yard, enabling it to better accommodate large fields including the 24 runners in Australia's most iconic race, the Lexus Melbourne Cup. One of Flemington's most famous locations, the Mounting Yard will now be approximately 27 metres wide, 64 metres long and 1,506 square metres, making it the largest in Melbourne. The 10 metre extension towards the east will bring the Mounting Yard partially in front of the new Club Stand, which is set to be open ahead of this year's Melbourne Cup Carnival. VRC Members and their guests will now be able to take in the passing parade of horses from the comfort of the new $128 million grandstand. The extension will also enhance the safety and welfare of human and equine participants at Flemington race meetings, with extra space set to comfortably accommodate horses, strappers, trainers, jockeys, officials, owners and media in the Mounting Yard. VRC Chief Executive Officer Neil Wilson noted the positive impact of the change. 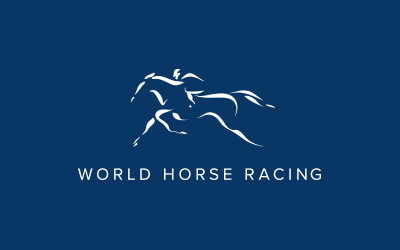 "The Club is committed to equine welfare and providing the best experience for racegoers and racing participants to view horses parading in the Mounting Yard," Mr Wilson said. "Innovations such as this not only enhance the safety of the Mounting Yard, but the opportunity for greater distance between horses also creates a more pleasant viewing experience for those watching at home. "It is particularly important to note that there will now be increased space for all 24 horses to parade before the Lexus Melbourne Cup, one of the most significant moments in sport each year." Aside from the 10 metre extension, notable changes will include renovations to the grass, gardens and path. The refurbished area will feature curved-edge fencing and a new path laid with a non-slip, durable surface that contributes to improved safety for human and equine participants. This is the first time since 1985 that the Mounting Yard has been significantly amended, with works commencing after Autumn Raceday and due to be completed in time for ANZAC Day Raceday at Flemington on Wednesday 25 April. Tickets to ANZAC Day Raceday, including hospitality packages, can be purchased from www.flemington.com.au. Children under 16 and accompanied by an adult are admitted free to Flemington all year round.